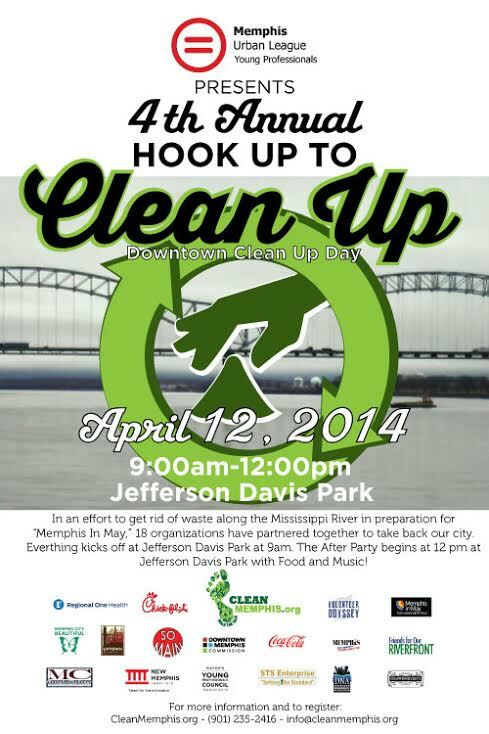 MULYP is excited to have 18 organizations partnering together for MULYP’s 4th Annual Hook Up To Clean Up Event. There will be a group meeting on Monday, April 7, 6:00pm at Clean Memphis, 1859 Madison Ave., to finalize cleaning routes, volunteer counts, and address any additional questions. Learn more, or sign up online at the Clean Memphis website here.